When I first heard Natalia Lafourcade’s sweet, melancholic Spanish sound I knew I had found a new favorite rainy-day artist. Yet, after attending the Mexico native’s performance at Concord Music Hall, filled with a vigorous Latinx fan base and groovy guitar and trumpet solos, I realized her sound is much more dynamic than I had originally thought. The show began with just Natalia and her lead trumpetist beside her. He let out a long minor note that reverberated throughout the venue, and immediately, everyone recognized the song: “La Llorona” (which translates to “The Weeping Woman”). 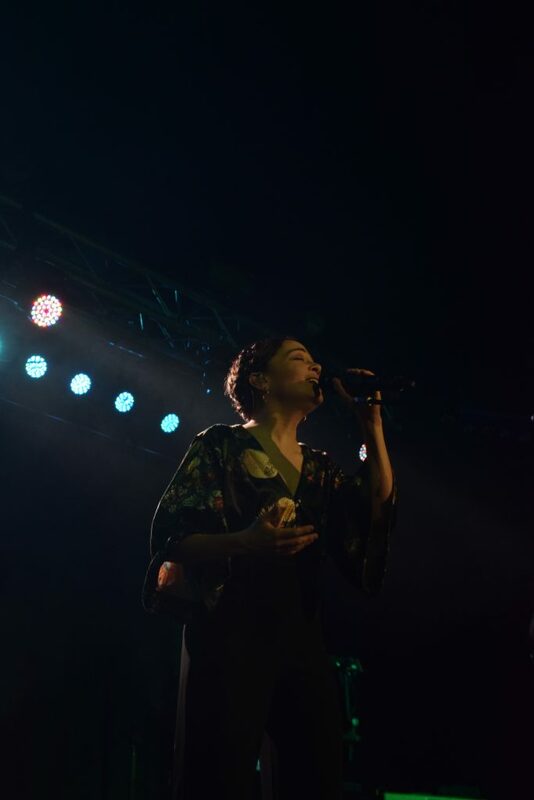 Written about a figure from Mexican folklore, Lafourcade’s “La Llorona” hit home for many folks in the crowd; as she sang, many others joined in with her, while others shouted “¡Viva Mexico!” and “¡Viva La Llorona!”. A turquoise mist flowed between the two on stage, a subtle reference to one of Mexico’s most prized stones. The song culminated in the trumpet’s crescendo, with Lafourcade’s wail lingering throughout the crowd. The theme of Mexican pride continued onto the next song, “Mexicana Hermosa,” which translates to “beautiful Mexico”. 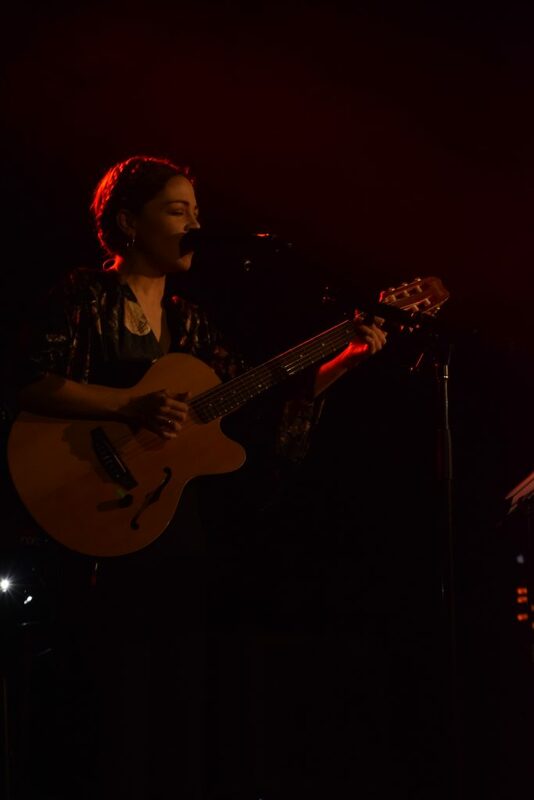 This time, Lafourcade was solo on stage, with just a dark red light beaming over her tightly-braided, traditionally styled hair. Within her first three words, the crowd joined in, swaying with the slow tempo. Lafourcade beautifully ended the song with a series of “la-la-las”, and as the crowd sang along, I closed my eyes and felt like I was sailing through water. No wonder “Soledad y el Mar”, or “Solitude and the Sea,” came next. I absolutely loved the jazzy rendition on the originally acoustic song, a cool transition into the more upbeat portion of the show. 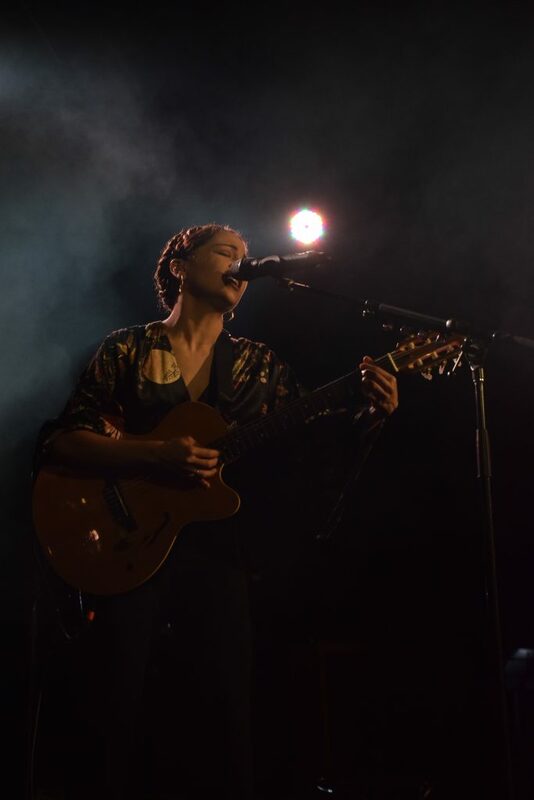 As the trumpetist, guitarist, pianist, and drummer joined her on stage, Lafourcade picked up the microphone and danced around them. Naturally, the crowd followed, including a little girl dressed in a traditional Mexicana outfit with a red rose in her hair, twirling and smiling about the dance floor. The rest of the night was phenomenal. Most songs came from Lafourcade newest album, Musas, but she also added crowd favorites from Hasta la raíz, including “Nunca es Suficiente,” “Lo Que Construimos,” and “Mi Lugar Favorito.” The crowd, myself included, savored every part of the performance, and you could tell Lafourcade was pleased from the huge smile beaming on her face. 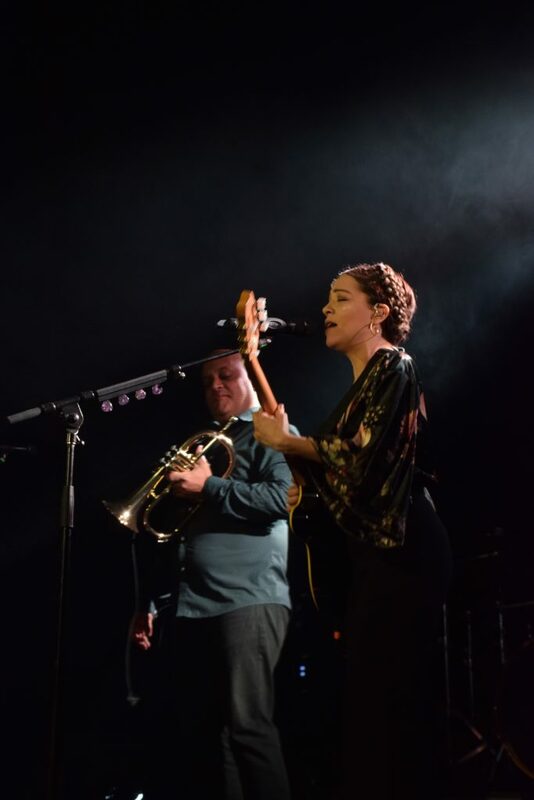 The combination of Lafourcade and her bands’ incredible musical talents as well as messages of Mexican pride made for a lively night of singing, dancing, and genuine enjoyment. I definitely know now that Lafourcade is not just a rainy-day artist; she has a multifaceted sound that can be enjoyed, no matter the setting.